Samsung just officially unveiled the Galaxy J7 Duo in India. The midranger will become available on April 12 for INR 16,990 or around €210 and will be trimmed in either Gold or Black. As expected the Galaxy J7 Duo comes with 5.5" Super AMOLED screen of HD resolution, a 13MP + 5MP dual camera at the back and an 8MP selfie snapper - all three sit behind bright f/1.9 aperture lenses. The battery is a 3,000mAh unit. Software is based on Android 8.0. 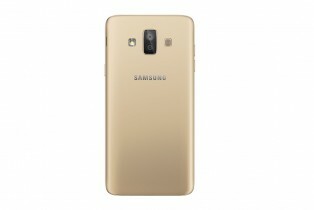 Th Samsunge Galaxy J7 Duo has an octa-core Exynos 7 Series processor with 4GB of RAM. Storage is 32GB built-in but is expandable through the microSD card slot. There's a fingerprint scanner on the front, an FM Radio, 3,000mAh battery and optional dual SIM. 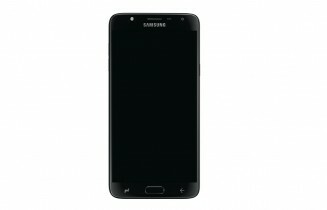 There's no mention of the Galaxy J7 Duo having Bixby support, although that was found in a leaked manual recently. There's no dedicated Bixby button so we'll assume the virtual assistant isn't on board. This phone not even 10k price N they want people's pay 17k...... If u have galaxy j7 pro option under 20k....Then y u want to waste money??? ?